For seminar and convention organizers, please feel free to use photos and biography segments for upcoming events. You can click on the photo slide show and download high resolution images. Robin Heppell, CFSP, combines his expertise in marketing, technology and pre-need, his formal business knowledge and his deep-rooted legacy in the funeral profession so that he can help funeral homes and cemeteries be more competitive, more profitable, and provide the best possible service for the families they serve. 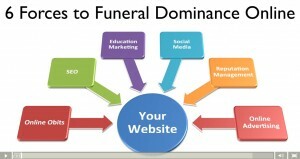 Through his digital marketing agency, Funeral Results Marketing, he assists funeral directors and cemeterians throughout North America embrace and incorporate innovative strategies, marketing plans and technologies. This “Funeral Futurist” has over 20 years experience in a highly competitive, high cremation (92+%) market. He is a fourth generation funeral director and a Certified Celebrant. 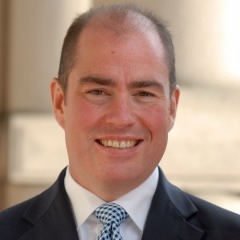 Heppell is a former faculty member of the Canadian College of Funeral Service, and shares his expertise on his websites FuneralGurus.com and FuneralFuturist.com. Through his consulting firm, FuneralFuturist.com in Victoria, British Columbia, he assists funeral directors and cemeterians throughout North America embrace and incorporate innovative strategies, marketing plans and technologies. Robin is a fourth generation funeral director and a Certified Celebrant. In his role as a funeral consultant, Robin builds on his 25 years of funeral service in a progressive and ever-changing market. With this marketing experience together with his business acumen and technological knowledge, he can create solutions with clients as they prepare themselves for changes in their markets and embrace the future. Whether it is websites, online obits, SEO and Google AdWords, funeral-specific software programs or commercial applications such as Photoshop®, Excel®, or PowerPoint®, Robin bridges the technology gap for funeral professionals. He understands their challenges and speaks their language. Robin can guide them on what will save time and what will make them money – it is like having your own technology consultant on staff. Robin is a Certified Funeral Service Practitioner (CFSP), a Certified Celebrant, a Licensed Funeral Director and an Embalmer. He holds a Bachelor of Commerce Degree in Entrepreneurial Management. Robin is a former faculty member of the Canadian College of Funeral Service (formerly Western School of Funeral Service) where he instructed licensure students in Business Management. He has presented at regional and national conferences, hosted over 100 educational webinars for funeral professionals and is a contributor to Mortuary Management and the Canadian Funeral News. Robin can also be seen and heard via the Internet through his many video and audio interviews and educational tutorials and articles at FuneralGurus.com and FuneralFuturist.com! Robin was born and raised in Victoria, BC, on west coast of Canada. From the beginning, he has always been surrounded by individuals who have been active in many different areas of community service and who have displayed integrity and great care in their work. His father, Tom, was an elementary school teacher, and his mother, Lois, was a registered nurse. Robin’s maternal relations have been involved in the funeral profession since 1912 (Egan Funeral Home, Bolton ON). After high school he went to Ontario to pursue a professional hockey career and while there he gained his first experience in the funeral and cemetery business. When necessary Robin assisted his uncle, Paul Egan, at the funeral home, but for the most part he spent his days with his grandpa, Bill Egan, at the cemetery. After his wish of an NHL career ran short, he returned to Victoria and put his funeral experience to use. Robin started with McCall Bros. Funeral Directors in 1986 and within six months, he started his apprenticeship. In the mid ‘90s preneed was introduced to McCall’s and Robin turned part of his focus to advanced planning. Due to insurance regulations at that time, he was forced to obtain his insurance license and start his own consultancy firm, Heppell Funeral Planning Ltd. (now Heppell Media Corporation). In 1997 Robin was recognized by Monumental Life Insurance Co. as its top producing preneed agent in North America. He manage the preneed department at McCall’s for ten years and now assists other firms with preneed strategies and promotion. During the 90’s at McCall Bros. Robin had become the resident techie and also helped them create their first website in 1998. At the same time he created a database for them to track their nearly 1,000 calls per year. With technology being especially new to the funeral profession, Robin saw that there was an opportunity to bridge the gap between the two. He became associated with FX-Directors’ Solutions (then Aldor Solutions) of Dallas, and represented them in Canada for funeral home and cemetery websites, software, and other funeral-related technologies until the spring of 2006. Robin also realized that with the face of the death care industry changing and with consumers demanding more, there was going to be opportunity to assist funeral homes and cemeteries from both a strategic and a competitive standpoint. Robin went back to school and obtained his Bachelor of Commerce Degree from Royal Roads University. By adding business strategies to his offerings of preneed and technologies, his consultancy has morphed from Planning to Solutions (Heppell Funeral Solutions) and now to Media (Heppell Media Corporation). In the spring of 2006, Robin received the designation of Certified Funeral Service Practitioner (CFSP) by the Academy of Professional Funeral Service Practice and now is the first International Trustee for the Academy. He is a former faculty member of the Canadian College of Funeral Service (formerly Western School of Funeral Service) where he instructed licensure students in Business Management. All of this, together with writing articles and presenting seminars, is the current direction of Robin’s journey. Although it has consisted of many turns and bends it relates back to his core values of providing the best, most meaningful services for families by equipping funeral homes and cemeteries with the necessary skills and tools. To this he credits the emulation of his Dad’s passion for teaching and coaching and of his Grandpa’s commitment to his community and funeral service.